Keynote Speaker and Retail Futurist Howard Saunders led a panel of experts at the ‘Sharing Experience, Shaping the Future’ regeneration conference, hosted by Lisburn & Castlereagh City Council, yesterday (25 March 2019). 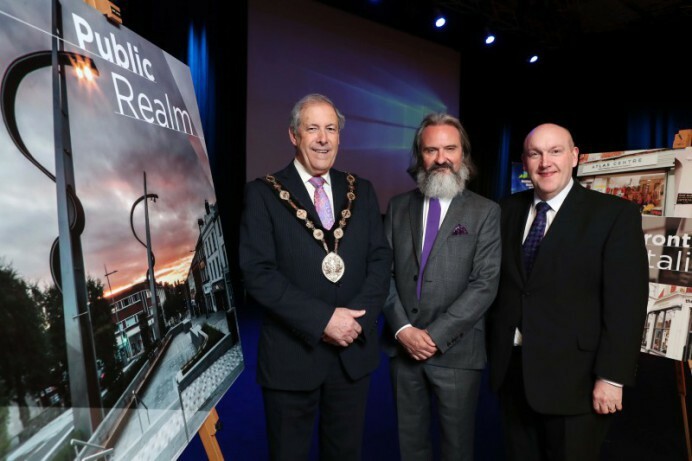 The conference brought influential figures together to share a positive insight into the future of urban regeneration and place shaping across the UK, focusing on Northern Ireland. Head of Economics, Richard Laming and Director of Strategic Communications, John Davison from Planning and Development Consultancy Turley presented their vision for the future of town centres while Steve Peel of the Urban Innovation Company gave an insight into the opportunities for developing Smart Cities. Pioneering initiatives in Lisburn City Centre were also explored with award-winning Sarah Munn, founder and owner of community space Penny Square.